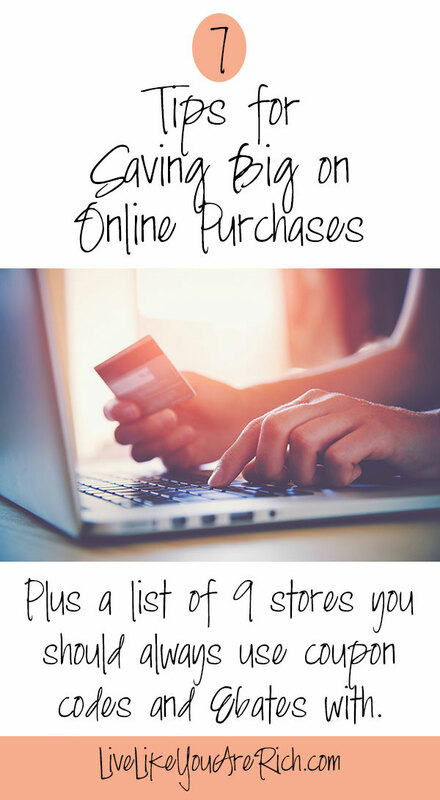 There are at least 7 ways to save while shopping online. I recommend using many of them at the same time to really stretch your hard-earned money. Using online coupon codes is one way to maximize your money. Another way is to earn cash back through Ebates. Buy clearance items is a no-brainer way to get a better deal too. For the other 3 tips for saving while shopping online AND for a list of 9 online stores that are almost always on Ebates AND usually have online coupon codes, sales, and clearance items, head on over to ClarksCondensed.com to read my post. I posted it there to support my good friend Katie who just had a darling baby boy! I love shopping with ebates. I’ve earned almost $200.00 this year! Awesome! Yes it is a great way to earn cash back.